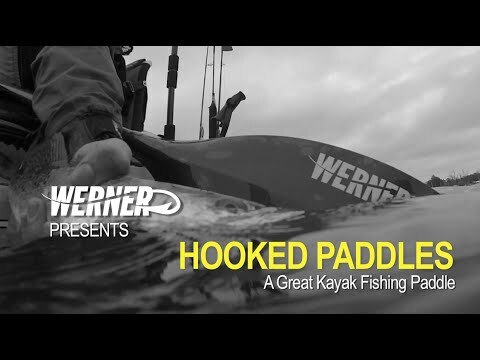 The Werner Shuna Hooked Adjustable LeverLock Kayak Paddle is a great new angling paddle. The best angling paddle is of course the best paddling paddle and the Shuna is one of Werner's most popular high angle paddles. 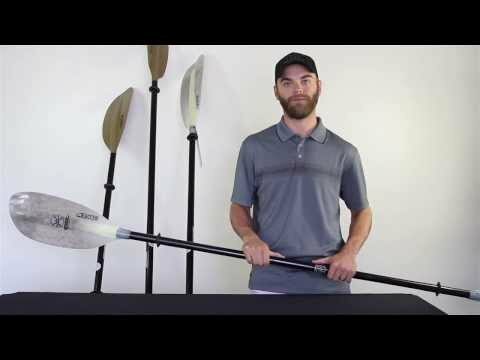 It's powerful yet light and durable and great for active or relaxed paddling. The mid-sized blades fit a wide range of kayakers and are versatile and easy to use during advanced maneuvers or all around touring. Werner's Smart-View Adjustable Ferrule System makes feathering adjustments a breeze. It comes in fish patterns with the Werner Hooked logo. The Hooked: Adjustable LeverLock system allows for up to 20cm of adjustment. Offered in two ranges: 220-240cm and 240-260cm. 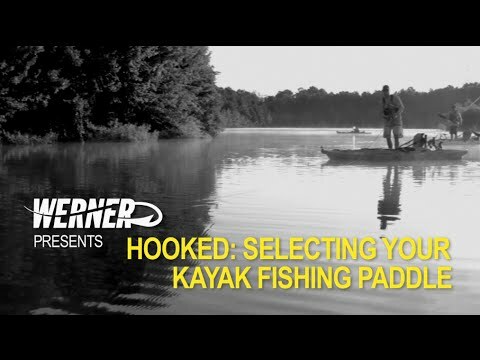 Customize paddle length on the fly for high/low seat positions, standing while sight fishing or switching between multiple kayaks of different widths. The adjustable length paddle gives you the freedom to fish. The Hooked: Adjustable LeverLock system allows for up to 20cm of adjustment. Offered in two ranges: 220-240cm and 240-260cm.